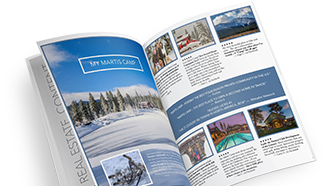 As a Truckee resident for more than 20 years, I’ve laced up the boots, grabbed the camera and covered a lot of ground. This time of year is prime time for wildflowers and waterfalls as you’ll find here on some of my favorite local trails. 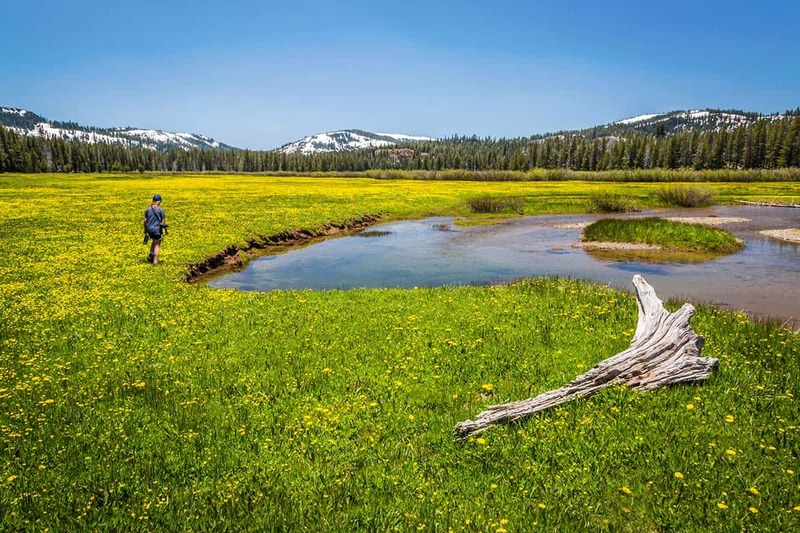 This gem of a meadow is just 45 minutes northwest of Truckee but demands a full day at the least or, better yet, an overnight campout. Here, you’re at the headwaters of the Little Truckee River. The trailhead for this level, 6-mile round trip hike begins just west of Webber Lake. 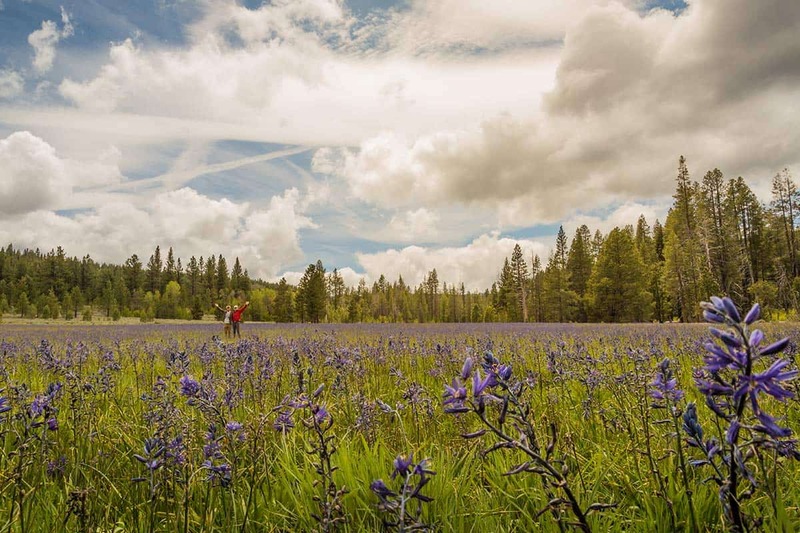 Aside from fields of flowers, you’ll find fishing, paddle boarding, kayaking and a campground where you can settle in under a night of Milky Way skies. Challenging and beautiful are two words that come to mind when I tell friends about this 4.5-mile trek at Squaw Valley. 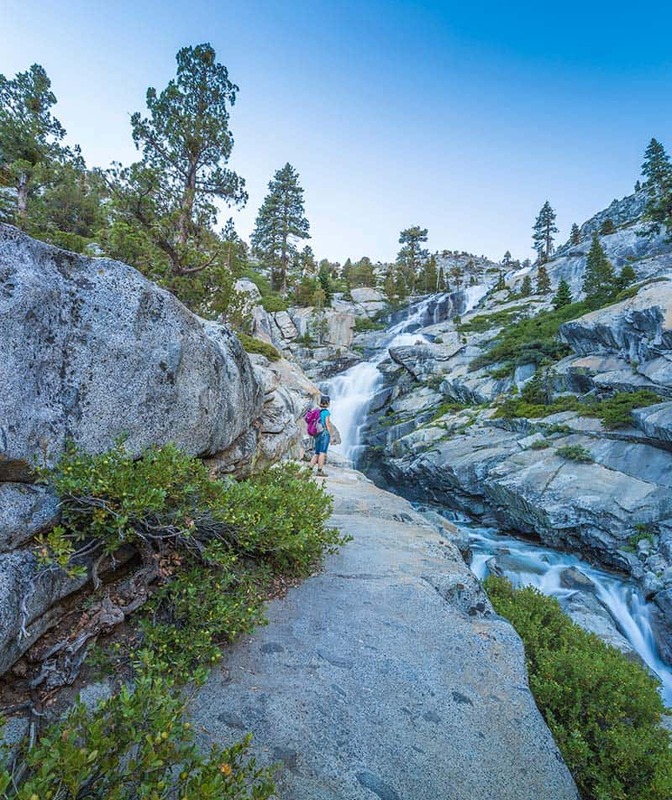 You can shorten the hike by traveling out and back along the creeks as far as you want or take it all the way up and over granite fields, past Shirley Lake and up to High Camp at Squaw Valley. If the tram’s running and your legs aren’t, take the free tram ride down (when running). kokanee salmon sporting coats of gold and red. 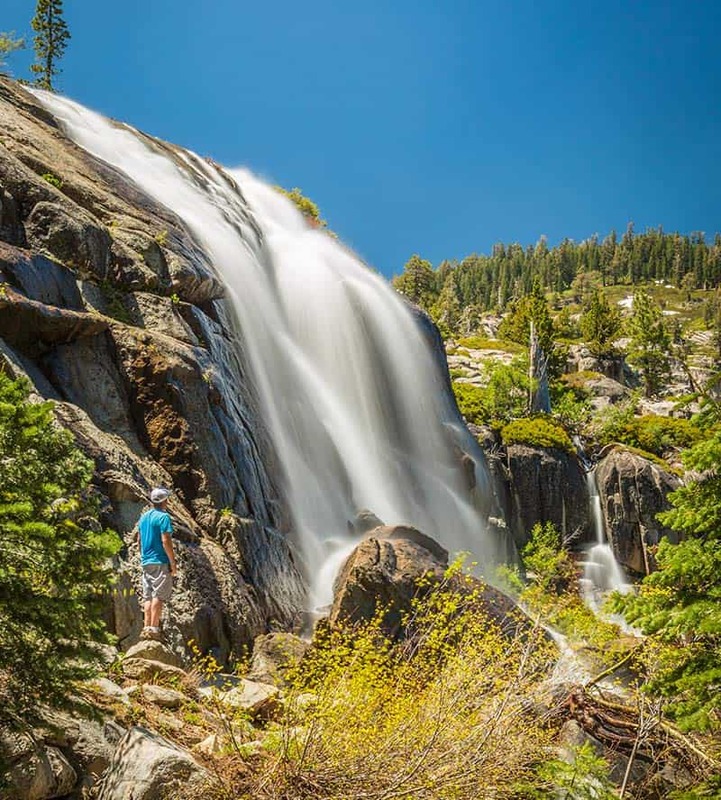 Plan early for this drive as you’ll venture beyond South Lake Tahoe to Highway 50 and the Twin Bridges trailhead just past Strawberry. Parking is $5 but the scene is priceless, a 3-mile round trip hike loaded with one amazing sight after another. Best plan: pack a lunch, water and your camera and make a full day of it.